In 1906, young Robert Eugene Otto received a doll from his family’s servant. It was, at first blush, unremarkable: a doll of wire, cloth and straw, with beige skin and human-like hair. It wore an outfit similar to that of an American Naval officer. But the doll held an ominous secret that would reveal itself in time. You see, legend has it that the Otto family, who lived in Key West, Florida, weren’t kind to their servants. One servant, a Bahamian woman, grew tired of her mistreatment. Some say she was skilled in voodoo and black magic. 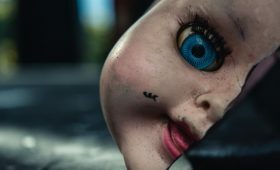 As an act of revenge, she infused a doll with dark spirits, and cursed it with hatred. She crafted it with human blood and hair, and stuffed it with rags soaked in the liquid of the dead. It was this doll she bestowed upon young Robert. Robert Eugene Otto, unaware of its sordid history, took to the doll almost immediately. He named it Robert, after himself (he actually went by his middle name, Gene). His parents would hear him late at night conversing with Robert the Doll, and sometimes — perhaps it was their imaginations, or was that strange, guttural voice really coming from their son? — they could hear the doll speaking back. Gene would go on to blame Robert the Doll for countless strange occurrences. Plates falling from tables, lamps falling from walls. Torn clothing and misplaced objects littered throughout the house. Eventually, Gene grew older and traveled to Paris to pursue a career in art. He got married, and life went on. However, when he and his wife returned and moved back into his old Victorian home in Key West, Gene made special accommodations for the doll. It was still very important to him. He constructed a small room in the third floor turret, scaled perfectly for Robert’s size. He placed small furniture inside. Robert sat in a chair, motionless. Most of the time, of course. Allegedly, neighbors would claim they could see Robert the Doll through the third-floor windows, moving from room to room. The sound of laughter occasionally echoed throughout the house, as well, glimpses of shadows as the doll made its nightly walkabouts. In 1974, Gene died and Anne moved away. But Robert remained, and the strange occurrences continued to be reported by new occupants and utility workers. Unexplained footsteps, strange noises, laughter. 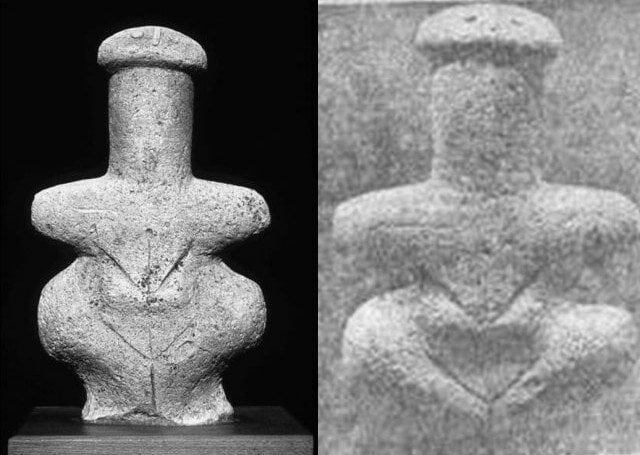 Some would turn their backs on the strange little doll, and it would have moved, just slightly, when they looked again. 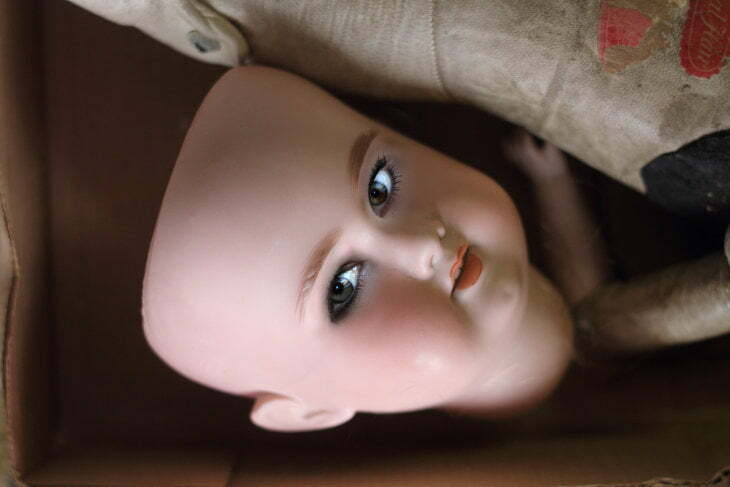 The doll was lost in time, packed away by nervous occupants who couldn’t bare to keep it in plain sight. It eventually surfaced again, however, when a new family found the doll in the attic. Their 10-year-old daughter welcomed the old doll, becoming its new owner. But she, too, would learn of its secret terrors. She would scream in the night, shouting that Robert was moving. On at least one occasion, she claims (to this day, in fact), that the doll tried to kill her. Robert the Doll was ultimately given to the East Martello Museum, where it has been on display — locked behind glass — ever since. For two weeks every year, it’s brought to the Custom House in Key West, where visitors may have a look for themselves. You may be wondering about all those notes and papers pinned to the wall in this photograph. Before taking a picture of Robert the Doll when he is on display, each person must first ask for his permission. If his head tilts, that means permission has not been granted. Those letters were sent to the museum by people who dared to tempt the curse of Robert the Doll, who didn’t ask for permission. They contain true testimonies of the bad luck and misfortune that followed. In those letters, they ask for forgiveness. Don’t disrespect me like that. Are all these people apologizing to Robert because they’ve had bad experiences due to viewing him online?!? Or is it just that nobody wants to take any chances!?!? And, being no fool, I am apologizing to you, Robert. I give you high regards and I wish you well. Robert I am sorry if me or my family offended you in any way. I either have a cursed hat, or fishing is a dangerous activity. My great grandfather and grandfather both died while fishing, wearing the same hat. Luckily, I don’t fish and the hat doesn’t fit me. Robert, I apologize for viewing a photograph of you without your permission. Im sorry Robert, please forgive me. I am sorry I viewed pictures of you online and read your story please forgive me. I’m so so sorry I watched your video… It won’t happen again I’m sorry please forgive me..
Robert, I’m sorry I didn’t ask your permission. I was just learning about you. Please forgive me. I’m sorry Robert for read your story and view your photos without your permission, I’m really sorry. I’m sorry Robert I saw your picture online and read about you, just wanted to learn about you. I’m really sorry. I’m sorry Robert, I came across your story and pictures online and wish to respect you. We are sorry Robert we just wanted to get to know more about you. I’m sorry for reading about you, Robert. Please forgive me. I’m very sorry, Robert, for viewing photographs of you online, reading information about you, and almost watching the YouTube video about you that did not have permission. I hope you can forgive me for my curiosity. I’m very sorry Robert, I’m just interested in your story. Please forgive me. I am sorry Robert for looking at pictures and videos of you without permission I was just interested about you. I am very sorry. Sorry Robert for looking into your story more without your permission. You are quite the handsome fellow and I didn’t know i couldn’t look you up online. I honestly thought it was just taking a picture, so please forgive me. Sorry for reading about you, watching videos and viewing pictures of you without your permission. Please forgive me Robert. I sorry Robert for looking at you history and pictures, and looking you up online, Please for give me. Im sorry, Robert, I didnt know I wasn’t supposed to look you up. I just wanted to learn about you and your story. I’m sorry Robert that I looked you up and viewed videos of you without your permission, I just wanted to know more about you, I hope you can forgive me. I sorry Robert for looking at you history, pictures, looking you up online, and watching videos about you. Please for give me. I’m sorry Robert for looking you up, forgive me. I’m sorry Robert for reading about you and watching videos about you without your permission. Please forgive me. I’m sorry for looking you up online. I had no idea that you wouldn’t like that. I should have asked for permission. Please forgive me. May you find peace within and only respect. I’m sorry for looking you up online without permission. Please accept my apologies. I wish only the best and kind regards. I’m sorry Robert for reading about you. Please be kind And accept my apologies. Sorry Robert I’m truly sorry for looking you up with out your permission, please do accept my apologies. I’m sorry for researching you without permission Robert. Please accept my apologies. Sorry Robert for looking you up without your permission. I was curious. Please forgive me. Dear Robert, I am Truly sorry for searching you up without your permission, Please Forgive me. Please forgive me for researching your story on the internet. I was not aware that you would not approve of that. Please accept my apologies. Please forgive me for researching about you on the internet with out your permission. Please accept my deepest apologies. My sincerest apologies for researching you without your permission. I wish you well with the utmost respect. I am truly sorry for researching about you online and looking at your photos and for watching a video about you without your permission. I was just curious about you after watching the TV series “Lore”. I did not know that I needed your permission to do so. Please accept my apology and forgive me. Dear Robert, I am sorry for researching you on the internet and looking at pictures of you without your permission. I hope you accept my apology. I am sorry for once again viewing your pictures online without your permission. I hope you forgive me and have a wonderful day. Your agreement says I can’t take pictures of you, therefore I look at you without apologizing. Don’t break your own contract. robert – please forgive me for looking at pictures of you without your permission. you deserve to be respected and i sincerely apologize. My apologies Robert. I was unaware that I should not view photos of you without your permission. I was just curious about you, please accept my apology and have a good day. Please forgive me for looking at pictures and researching you without your permission. I was just curious and I deeply apologize for the sin I have committed against you. I had no entinitions of hurting you or harming you. I was also unaware of that I needed your permission for this. I deeply apologize for any pain or suffering I may have caused you. I hope you can forgive me for what I have done. I was not fully aware that I shouldn’t look at pictures of you online. I am truly sorry and i ask for your forgiveness. I have not come to cause harm or ill will. Dear Robert, I’m really sorry for looking at your pictures/searching about you. I did not mean to offend you in any way. Please, forgive me. Dear Robert, please forgive me for researching and looking at your pictures without your permission forgive me. Robert I apologize for looking and researching about you and your story. I was not fully aware of how this would offend you. I am sorry for not asking for your permission and hope that I receive your forgiveness. Forgive me, I meant no harm. Dear Robert, I am sorry for researching you online and I do not mean to offend you in anyway. I ask for your forgiveness please. Dear Robert, I didn’t mean to offend you or do anything to harm so I am sorry for searching you and I ask for your forgiveness. I am very sorry I saw your pictures online and researched you without permission. I had no idea how much this would offend you. Please accept my apology. Dear Robert, I apologize for viewing toy online without your permission I was simply curious after seeing a trailer for “lore” I hope you can forgive me I did not mean to offend you. Dear Robert I apologize for researching you and viewing you online without your permission I hope you can accept my apology. I did not wish to offend you and if I did I am very sorry. I asked permission to view this page from afar, but don’t know if that permission was granted and did proceed on reading this article. By no means did I mean to offend you, please forgive me dear Robert as I only wish the best for you. Please forgive me if you were offended and do not curse me. Dear Robert, i deeply apologize for researching you online, and viewing your picture without first asking permission. I hope that you can spare me, and i ask for your forgiveness. Please don’t harm me, or my family. Thank you for reading. i’m sorry for researching you because i was just curious and sorry also for looking at your photos without your permission.i am sorry.please don’t curse me. I’m very sorry for looking up information about you and viewing pictures of you without your permission. I didn’t mean to offend you, I was curious. Dear Robert, I apologize for researching you without your permission. Your story was on Instagram and I got curious. Please forgive me and I deeply apologize if I offended you. I apologize for researching you online & viewing your pictures as well as reading this article without your permission. I hope I did not mean to offend you in any way, please take this apology and do not harm me & my family. I am verry sorry for reaserching you without permission i was merely curious about you. Please do not harm me or my family for i am sorry and i ask your forgiveness. I am very sorry for researching and looking at pictures of you without your permission, and sharing them with my friend. Please forgive both of us, we were merely curious and meant no harm. dear robert,i didn’t mean to affend you please don’t harm me or my family. I’m sorry for looking you up . I was bored and decided to look you up . Didn’t mean no harm . Please don’t harm me , and I didn’t know you had to ask permission to look you up . I’m sorry for researching you online without your permission. Please don’t hurt me or my family I ask for your forgiveness. Dear Robert, I visited you in key west. I was so honored and amazed. Please cause no harm upon my family. I was curious about your history and was interested. I’m very sorry. Your permission please don’t harm or cause misfortune to me, my family or loved ones. I’m just curious on why not to take pictures without your approval and how you would not grant access. I knew nothing about you and wanted to know more. I’m so sorry. I’m sorry for looking you up, I didn’t mean offend you in any way, I was just interested in learning more about you. Hope you can forgive me. I am sorry for researching you without asking. Do forgive me if I offended or made you upset in some form or way. I beg for your forgiveness. Please don’t place any sort of bad thing on me or my family. Dear Robert, Please forgive me and my student. We are working on a research paper, thank you. Dear Robert, I’m sorry I researched you without your permission I was curious about you and what happened cause I keep hearing about you and I wanted to see what your about and everything please accept my apology and forgive me. Im sorry looking you up without your permission. I hope you forgive me. I didn’t mean to offend you in anyway shape or form. I’m sorry Robert the doll, please don’t hurt me or my family. I’m sorry for looking you up without your permission. Dear Robert I apologize for reading about you in this article. Believe me it was not my intention to do so. I just came upon this article by accident and the title got me curious. Please don’t harm or curse me or any of my loved ones. I’m sorry. Undskyld robert for at have slået dig op. Håber du kan tilgive mig. I apologize for researching you without your permission. I saw information about you on a TV show and was just curious. You have my sincerest apologies and respect. Please don’t curse me or my family members. Im sorry for reading about you in this. I was told of your story and wanted to know of your story. I did not mean to offend you or disrespect you in any way. Please forgive me and please do not harm or curse me or my family in anyway. Im only coming to you with full respect. Robert, I’m very sorry for looking you up on the internet. I promise I won’t do it again if it bothers you. I’m sorry for researching you without your consent. I was simply curious about you and your history. I hope you can forgive me. I am truly sorry for viewing your photos without your permission. I found out about you through a video and got curious about you, i looked you up out of respect and it was never my intention to offend you or cause you any trouble. I am so sorry. I am truly sorry for viewing your pictures of you online without your permission. I accidentally stumbled upon your pictures. Please forgive me. Please don’t hurt me, my family, or my loved ones. My sincerest apologies for viewing pictures and information of you I was not aware of this being disrespectful my upmost apologies. My upmost apologies for viewing pictures of you I was not aware this was disrespectful I was just curious. I am sorry for not writing and asking permission to view your photos. I was curious about you as I had seen a a article about you on Facebook and wanted to know more. I am sorry if I have offended you at anyway. Im sorry for viewing your pictures and story without your permission Robert. I’m sorry robert for reading about u plzz forgive me and my family. I am sorry Robert…..i did not ask first!! Sorry Robert, I didn’t do **** wrong but this is kinda freaky and i don’t want you getting out of that chair. Cool story though. I did not ask to learn your story first or view your photograph please forgive me Robert. I’m sorry Robert for speaking your name to be told to my friends about you. Please forgive me. I’m sorry for reading and watching videos without your permission. Please forgive me. I did not learn your story or view pictures of you without any permission. Dear Robert, I’m so very sorry for reading and viewing videos of you without permission. I am truely sorry. Dear Robert, I am sorry for viewing pictures online of you and seeing pictures my friend took of you i am deeply sorry and i hope you can lift me of this curse. I’m sorry for viewing your photographs posted online without your permission, I just wanted to know about your history and I don’t doubt you. Sorry for viewing your picture online without your permission. You see, I have a strange and unexplainable interest for curses caused or manifested by dolls. I am sorry Robert. I was just curious about your history. Please forgive me! I am so Robert I never meant to offended you in any way. Dear Robert I truly am deeply sorry for not asking your permission when reading and researching about your story and viewing pictures. Again I’m deeply sorry and I hope that you forgive me. Robert, I am deeply sorry for looking up your images and story online. I found your story very interesting and intended absolutely no disrespect. Please forgive me for it and allow my life to go back to normal. I also apologize on behalf of my loved ones who may have heard of your story and looked you up online. I deeply regret any disrespect, though it was not intended. Also I am very sorry for watching any videos or tv shows about you. I once again intended no disrespect. Please forgive me for that as well as the many comments I have left here. I do not intend to annoy you either. I wish you all the best. Thank you. I am sorry to have returned to your page again. Deeply I regret upsetting you if I have and I am beyond sorry. The reason for this post is to strongly apologize for talking about you on social media app Whisper. It was a positive post but I regret any dsipleasure it may have caused. Especially if it led people to research you against your will. I apologize. Thank you. Sorry. I also have ocd and I apologize for multiple comments. Please excuse the excess, I just want to ensure my safety. This will be my final comment as I feel I may have over done it. That is on me and I am sincere in my apologies. For any future mishaps, if even thinking of your image makes you unhappy, I apologize in advance. For any reason I may have caused unhappiness, or displeasure I apologize. I thank you for the opportunity to apologize through the comments here. I will not be commenting anymore after this as to not disrespect you. I am apologetic and genuine when I write this, also grateful. 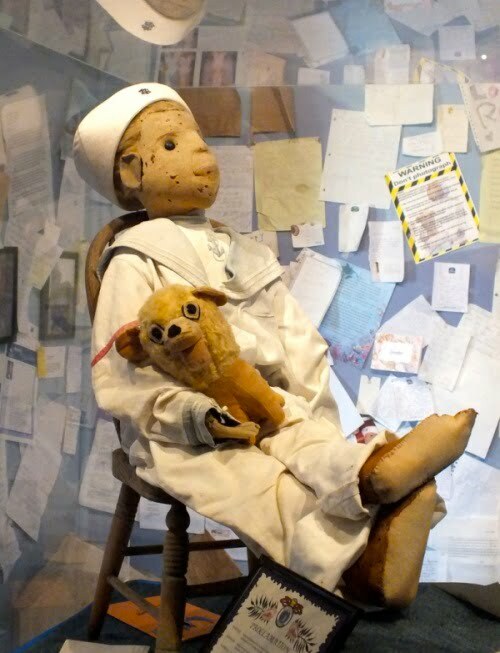 If it makes you feel any better, keep in mind that the actual (alleged) curse of Robert the Doll is about those who take pictures of the doll while at his museum home in Key West, and not simply those who read or research about him online. Many have seemingly misinterpreted the curse over the years. I have a pretty good feeling you, and everyone else who reads my article here, are perfectly safe. Please don’t worry. I ask you for forgiveness. I am sorry on behalf of myself and others who have offended you that I brought to know your story. Sorry I block out your image. This is solely because I am not sure if looking at your pictures is disrespectful by doing it without permission. I keep apologizing and I hope this isn’t a nuisance. I’m sorry it I lied or did anything upsetting. Definitely not the intention. Very very sorry. I am sorry for reading your articles. I am sorry for seeing images and I am sorry for thinking about you. Please understand I have intrusive thoughts and do not mean anything by them. Dear Robert, Im really really sorry for researching and viewing your pictures through google without permission I just think youre fascinating please accept my apology have a wonderful day! So sorry Robert to see your article.please forgive my this mistake.I promise that I never do this type of mistake. I’m sorry Robert for researching articles about you and looking at your photos without your permission. Please forgive me. Thank you and have a great day..